HAZELWOOD – Sometimes staying in a hotel is no vacation. Seeing the need and desiring to do something about it, HBC essentially adopted one of the hotels as one of their mission fields. They bus people from the hotel to the church to take part in Bible studies and children’s ministries, they provide lunches when they can and, most importantly, they make it their mission to build relationships with the people. While the church has been reaching out to them in various ways for the last year or so, Walker said the church intends to utilize the Missouri Baptist Convention’s (MBC) Summer Missions Mentor Initiative to serve with even more intentionality in the coming months. Not only will HBC members intentionally pour into the discipleship of these young people, Walker said the church also plans to allow their interns to take charge of the logistics for a month-long food service and outreach ministry at the hotel. He said missionary interns will be in charge of recruiting daily volunteers, scheduling on-site security and organizing lunches every day. 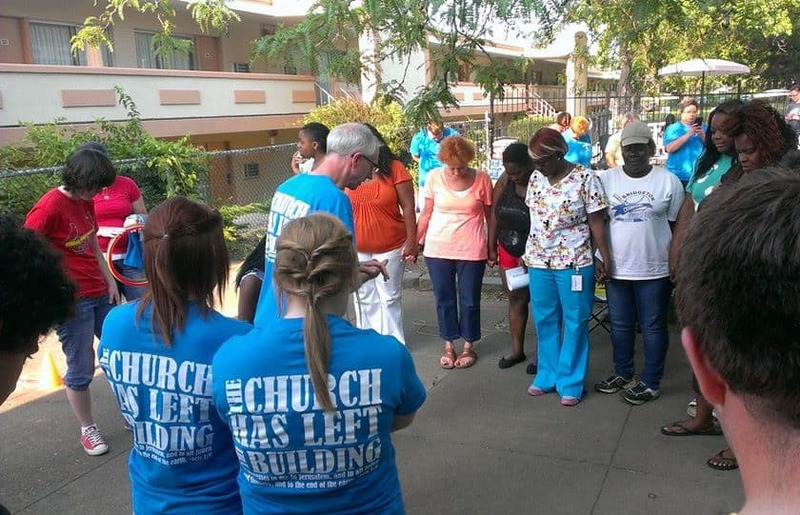 The hotel outreach is not the only community-focused ministry God has given HBC. The Hazelwood Police Department asked Walker to be their chaplain, which has opened up more opportunities for service and for sharing the love of Christ. On June 3 HBC will celebrate its 60th anniversary and Walker’s prayer is that the church will continue to reflect the community at large and embrace its diversity in Hazelwood.